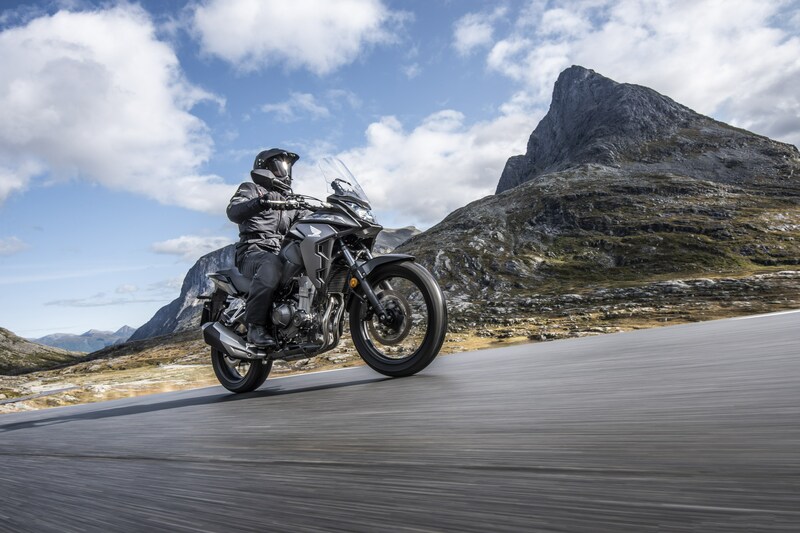 Long Travel Suspension: Whether you want to take a brief trip through the rough city streets or explore the endless vistas of the open road, the CB500X is ready. Its 41mm telescopic forks and Pro-Link rear monoshock offer smooth, extended travel to absorb hits. Both are adjustable for spring pre-load, tailoring the steering geometry to accommodate a pillion and full luggage. 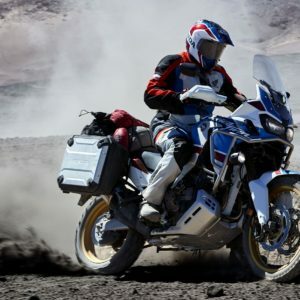 Easy Handling: Adventure is all about infinite freedom. But freedom is meaningless if your ride is uncomfortable. 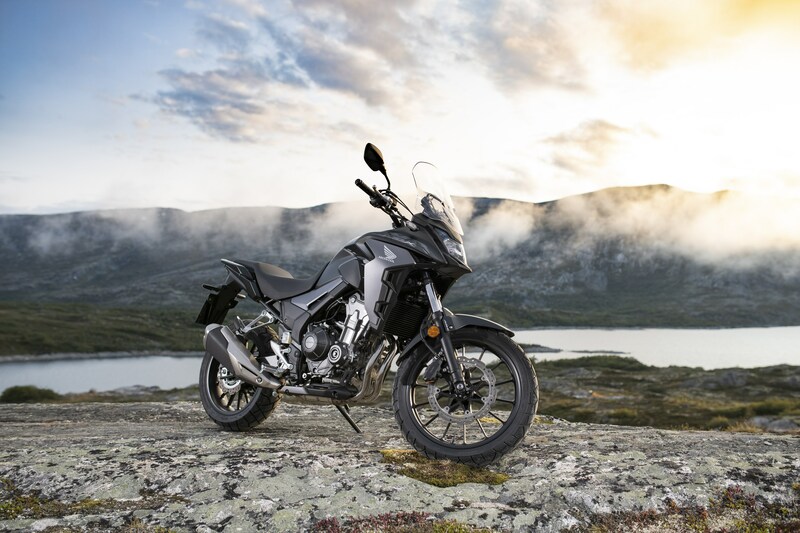 The CB500X’s steel diamond-tube frame has a tuned rigidity balance to enhance feedback. 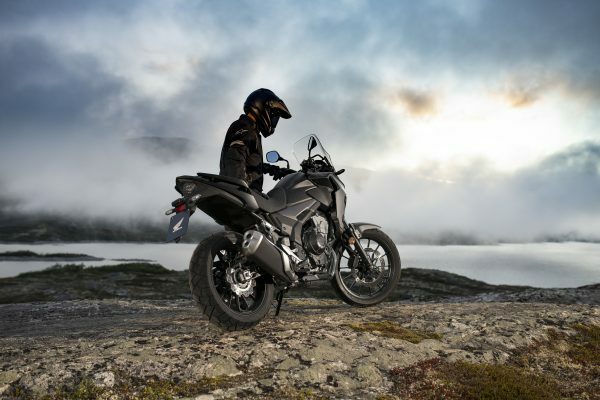 The engine is close to the swingarm pivot point for easy handling. 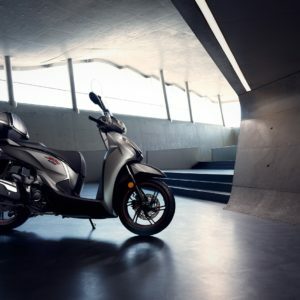 The seat height is 830mm, which makes the riding position upright and relaxed, offering excellent forward visibility and control. 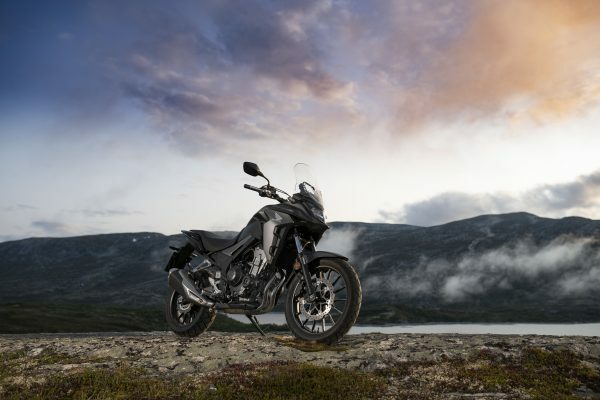 Tough Ability: The CB500X is designed to handle any kind of terrain. An increased ground clearance improves performance on rough roads, and three extra degrees of turning angle on the handlebars gives you outstanding handling. A 19-inch front wheel improves stability and roll-over ability, and block-pattern tyres ensure tenacious grip and feedback. The raised windscreen keeps you protected for a more enjoyable ride. Braking Control: Without control, power is useless. The new CB500X features a single front 310mm wavy disc and powerful two-piston brake caliper matched to a 240mm rear disc and single-piston caliper. Dual channel ABS is fitted as standard. Now you can easily manage braking force in wet or dry conditions. Information Display: When you’re exploring the open road, you need a clear, concise information panel. 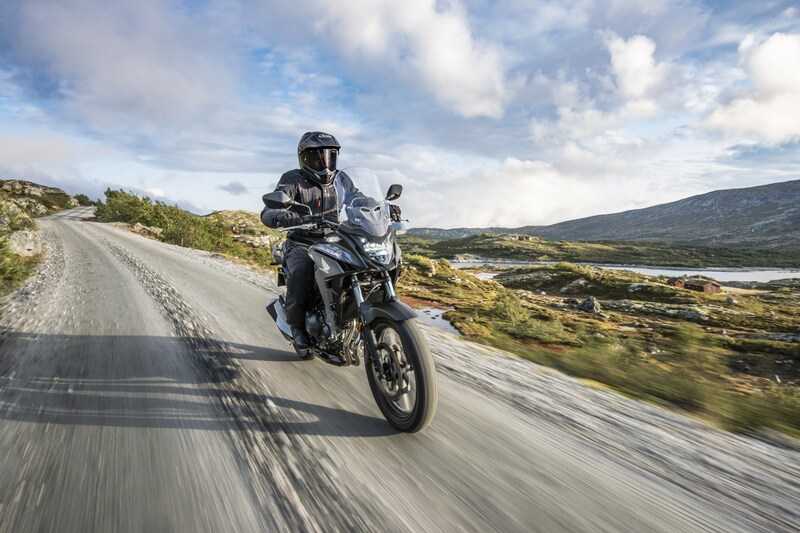 The CB500X features a new, attractive negative-display LCD dash to alleviate any tensions you might have. It includes a speedo and rev-counter, dual trip meters, fuel level and consumption gauges and a Gear Position indicator. 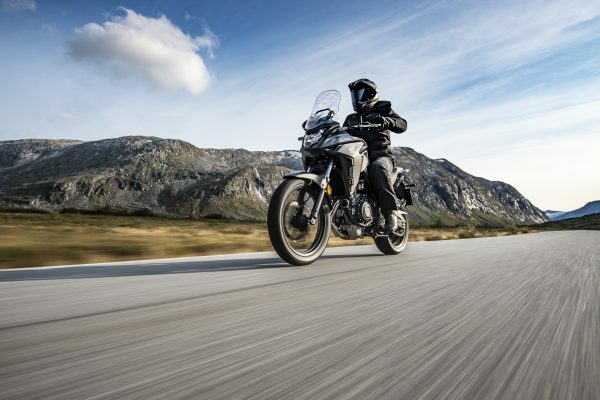 Twin cylinder engine: The 8-valve, liquid-cooled parallel twin-cylinder engine produces 35kW @ 8,600rpm – making it A2 licence compliant – with peak torque of 43Nm @ 6,500rpm. Revised camshafts and valve lift have increased low- and mid-range torque for faster acceleration. Fireblade DNA: The internal triangle proportion of crankshaft, main shaft and countershaft is very similar to that of the CBR1000RR Fireblade, and much of the engine’s internal structure and engineering is taken directly from the four-cylinder engine. The CB500X features the same Assist/Slipper Clutch structure as the Fireblade. Exhaust: A redesigned airbox streamlines the PGM-FI fuel injection process, and a new exhaust system gets rid of spent gases quickly and effectively. 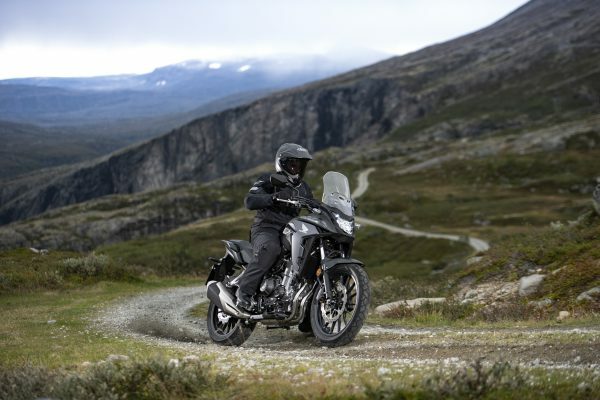 Updates to the air intake and exhaust system improve riding power. 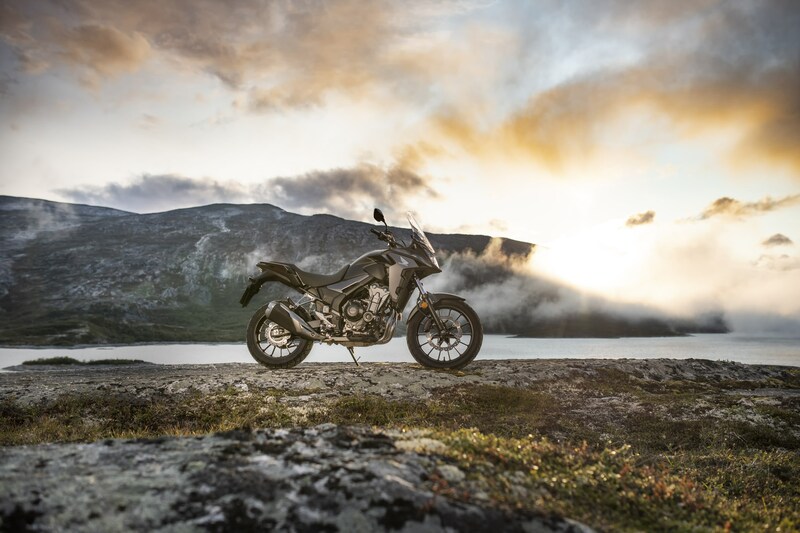 The muffler’s internal chamber has been engineered for efficiency, but it’s also tuned to add a crisp, evocative note to the riding experience. 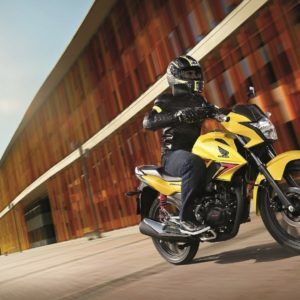 Full LED: The CB500X features full LED lighting for a contemporary look and optimal energy efficiency. The high- and low-beams — both LEDs — are located in the centre of the headlights to reduce weight, size and electricity consumption. Compact signal indicators and clear taillights give the bike a sporty edge. 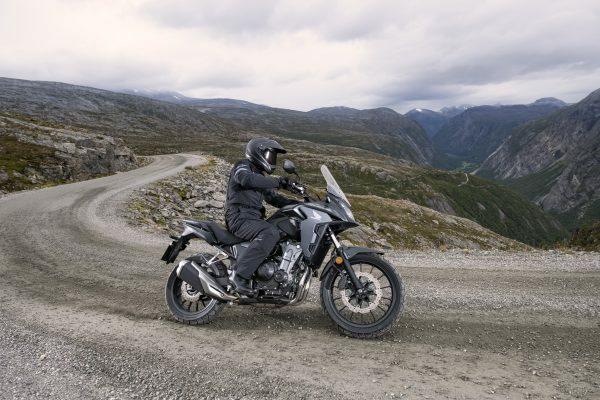 Centralised Design: Mass centralisation – which means that the heavier parts of the bike are placed as close together as possible toward the centre of the machine – makes steering and handling easier. The CB500X is designed around this concept, and its engine is near the swingarm pivot point. 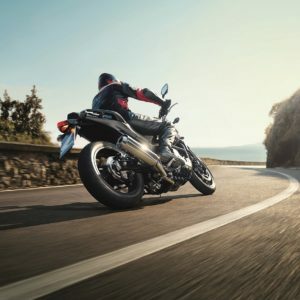 Emergency Stop Signal: The CB500X’s Emergency Stop Signal technology helps keep you safe if you ever need to hit the brakes unexpectedly. The system detects sudden braking and automatically activates the front and rear hazard lights, which flash to warn any nearby vehicles. Security: Premium security updates give you confidence and peace of mind. 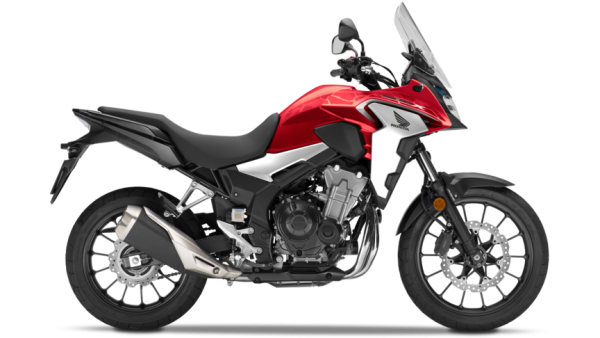 The CB500X features the Honda Ignition Security System (HISS) theft-deterrent, reinforced handlebar lock structures, and strengthened key cylinders.